During July and August 2016, AMMA conducted an anonymous survey of resource industry employers to gather up-to-date information about drug and alcohol testing policies, procedures, their efficacy and the most pressing challenges faced by employers. A total of 53 companies across the industry responded, from sub-sectors including: oil and gas / hydrocarbons, maritime, construction, metalliferous mining, coal mining, mineral processing, exploration, commercial diving, drilling, subsea operations, vessel operators, transport, maintenance and fabrication, services to mining such as catering, and manning agents and labour hire. The results indicate employers are under increasing pressure to manage the impacts of drugs and alcohol in the workplace as society’s general use and acceptance of illicit and prescription substances increases. Other key findings include that 65% of respondents take a ‘zero tolerance’ tolerance approach to drugs and alcohol in the workplace, while 26% adopt a ‘harm minimisation’ approach, weighing each incidence on the unique circumstances and risk. Urine testing (90% of respondents) and breath testing (88%) were widely used on Australia’s mine sites, with 41% using saliva testing. 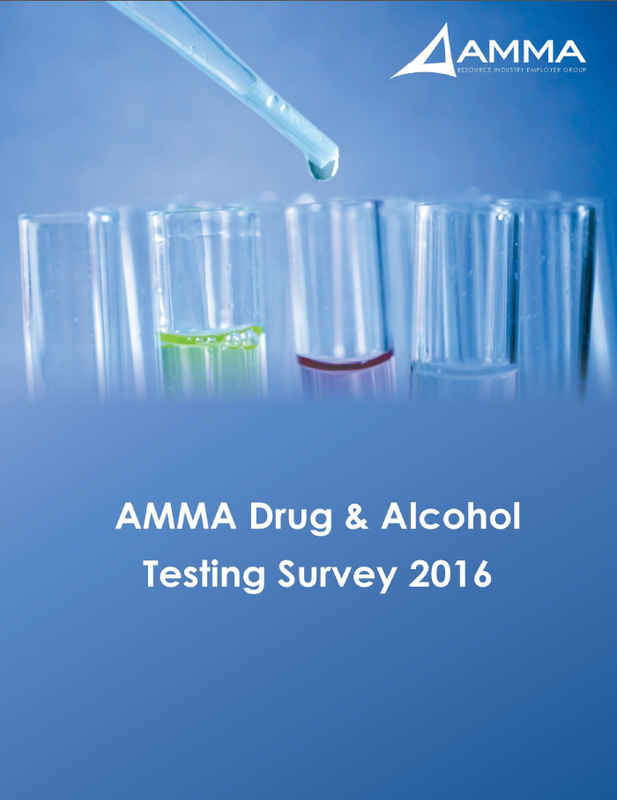 Click here to view the complete set of findings from the AMMA Drug and Alcohol Testing Survey 2016.